How to Host an Online Facebook Party or an Online Party? Do you want to expand your sales with no limits? How to Host an Online Party on Facebook? Postcron, The favorite tool of the Direct Sellers to host their online Facebook parties. Do you want to expand your sales with no limits? 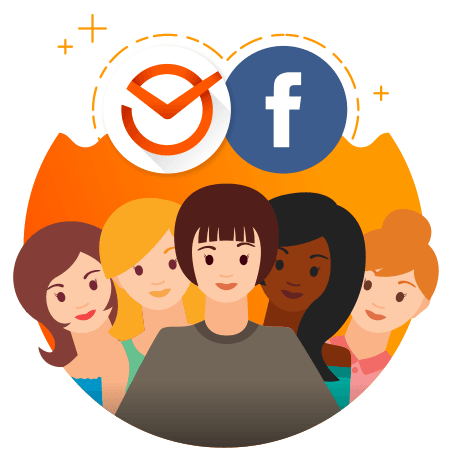 Manage all your social networks and online parties from a single control panel saving time and efforts. Schedule your Facebook party posts and automatically post to Facebook your products, games and information that you want to share. Save a lot of time scheduling many party posts at once and programming all the posts for the week or month in a few minutes. Upload all your Facebook party posts from an Excel or Google spreadsheet with the Bulk Upload tool, save it on Postcron and reuse it in your next online party. Look for photos, pictures, links, videos and more from YouTube, Flickr, Instagram and Pinterest. You won't need to look for them on the web, just leave that Postcron make this job for you! The most successful and popular direct sellers choose Postcron to host their Online Parties and take advantage of all the benefits that Social Media and especially Facebook has for them! 4 - and that's all!